Although the world’s biggest MMA show has yet to officially announce UFC 130, it hasn’t stopped the trusty rumor mill from doing its work. According to MMAJunkie, former heavyweight champ Frank Mir is expected to face Roy Nelson, while prior 205-pound title holder Quinton “Rampage” Jackson is slated meet Thiago Silva in the yet-to-be announced May 28th event. Mir was last seen putting Mirko “Cro Cop” Filipovic down in the 3rdRound at UFC 119 this past September. Prior to that, he had split his previous four contests. 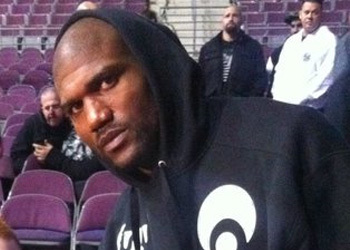 While Junkie was unable to confirm Nelson had cleared his contractual issues with the promoter he worked with before winning “The Ultimate Fighter 10,” it appears the hefty heavyweight has ironed out his unenviable predicament. Nelson is looking to bounce back from a unanimous decision loss to Junior dos Santos at UFC 117. Rampage took a controversial split decision win over Lyoto Machida at UFC 123 this past November. He owns an impressive 31-8 professional MMA record overall. Silva ended Brandon Vera’s Octagon career last weekend at UFC 125. The Brazilian got back on the winning track by slapping Vera silly, literally, en route to a unanimous decision win. UFC 130 is expected to take place inside the MGM Grand Garden Arena in Las Vegas, Nevada.